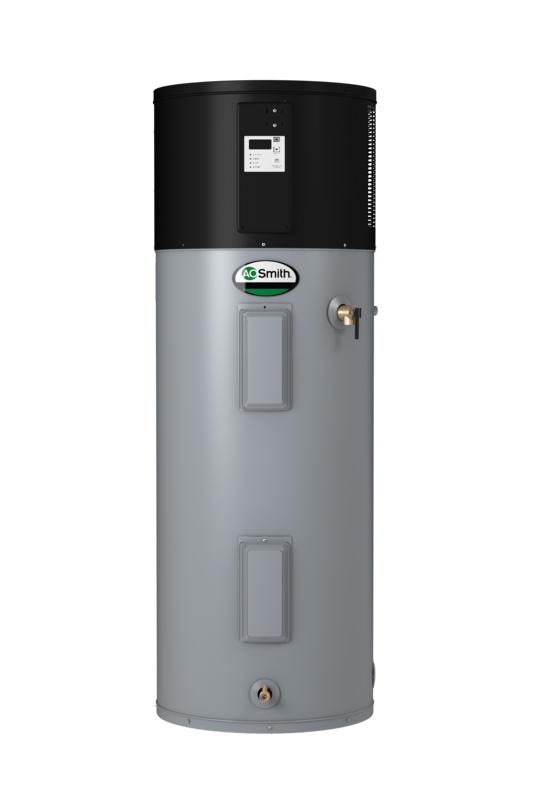 Leading water heater manufacturer A. O. Smith (www.hotwater.com) has announced the launch of its newest hybrid electric water heater, the Voltex® 50-Gallon Heat Pump, as an extension of the existing Voltex line. As an ENERGY STAR® qualified product, the 50-gallon Voltex is the most energy efficient heat pump water heater on the market. With an energy factor of 2.75, homeowners can save an average of $350 per year compared with standard electric models. The Voltex is truly user friendly, with an easy to use electronic interface, multiple operating modes to meet homeowner needs and quiet operation. This new residential product meets plumbing code regulations for three bedroom homes with a 67.5 gallon first hour delivery. Further benefits include a washable and reusable air filter and a SmartPort connection that allows homeowners to connect with future home management and utility smart grid applications. A. O. Smith Corporation is a leading global manufacturer and marketer of residential and commercial water heaters. A. O. Smith offers its customers an additional competitive advantage in that the company designs, builds, distributes and field supports the world’s broadest and deepest line of residential and commercial water heaters, as well as commercial boilers. This single-source concept simplifies ordering, installation and service and is backed by more than 70 years of research and innovation. For more information, visit www.hotwater.com. For the most up-to-date industry news, like us on Facebook and follow us on Twitter.